The history of basketball has undeniably offered the fans countless of amazing and jaw-dropping dunks. 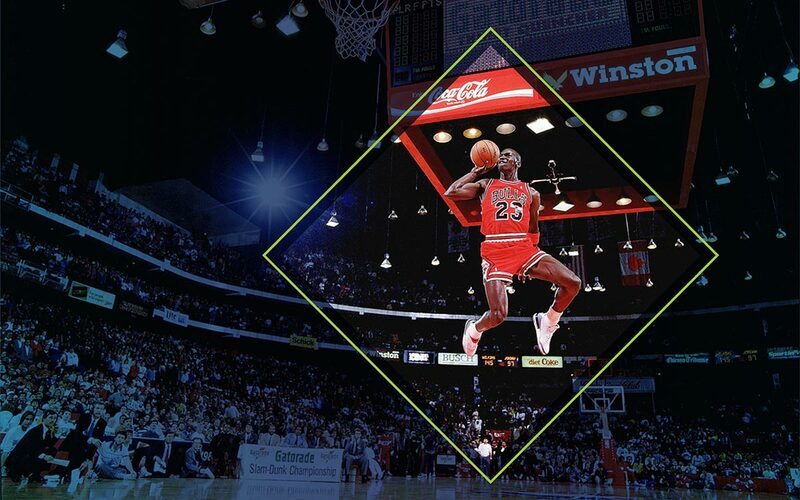 Legendary NBA stars like Michael Jordan, Clyde Drexler, Julius Erving and modern greats like Lebron James and Blake Griffin, have thrown down some incredible slam dunks to remember, wowing the crowd with their skills and inspiring thousands of young players to try them out. Without the glamorous spotlight of the All-Star Game dunk contest yet, there are many undiscovered talented athletes who bring breathtaking performances to the game on a daily basis. Take a look below at TOP 10 dunkers we chose for you on Athlenda. After each game, Athlenda users post their videos for the world to see. Today, we’ve chosen our TOP 10 dunks from their incredible highlights to share with you (Read also: TOP 10 Assists by basketball players 2019). Watch the video below and let us know who is your favorite. Coming from Sweden, Irons is an unselfish point guard who prefers to create for his teammates rather than look to score. When he does attack himself, he is able to penetrate from both sides and use his reliable 3pt jum pshot. He also uses his athleticism to his advantage in transition. His impressive wingspan helps him get a number of steals on the defensive end and be a good rebounder for his size. Dorian Jelenek is a skilled left-handed forward from Croatia who can score in a variety of ways. Hee is excellent on the transition game and uses his long arms to secure rebounds and deflect passes on the defensive end. On offense, he is a good spot-up shooter, especially from the corners, and he can drive to the basket from both sides. During the 2018-19 season, he played for KK Dubrava. Erki Kuhi is one of the most talented prospects in Estonia. At 19, he already has two years of experience at the professional level. He is a multifaceted offensive forward who can get to the basket and use his physical tools to finish, spot-up for 3pt shots or run in transition. He reads defenses on the go very well and creates opportunities for his teammates. On the defensive end, Erki’s length enables him to be disruptive, getting a lot of steals and blocks. Watching Marc Matthews play, you can’t help but notice his exceptional athleticism, which he uses to make plays on both ends of the floor. Matthews graduated from Montana State University and went on to play professionally in Australia. He is a high scoring combo guard that can punish defenses with his long-range shooting. James is an extremely athletic swingman who played for Fort Valley State University. He has a lean body and long arms and is very well equipped to play above the rim. He is most effective running the floor in transition for easy baskets. Mouhamed Sy is an offensively-minded forward with great jumping ability who likes to run on the fast break. He is a reliable shooter from the 3pt line as well as the mid-range. On 1 on 1 situations, he penetrates from both sides finishing with the right and on the low post, he finishes with a right hook shot. Sy is a tough player that posted great stats so far in his career in Asian and African leagues and has all the tools to make the jump to a better league. The Senegalese Center Khadim Dieng is a player with the size and length to impact possessions on both ends of the floor. He played college basketball at the DI NCAA Davenport College. His greatest asset is his ability to protect the rim and deter opposing players from finding easy baskets. Sylvester is an exciting young forward from Denmark who already has experience in the FIBA Europe Cup as well as the domestic league for the successful Bakken Bears, being a solid contributor. He has a strong body for his age and is very good at creating opportunities for his teammates, averaging more than 3 assists per game this year. He is developing his shot and along with his athleticism, he is a multifaceted talent to keep an eye on. Montrell Williams is an ultra-athletic left-handed guard with great size from Arkansas Tech University. His physical tools are his competitive advantage on the court, helping him make plays on offense and secure rebounds over his opponents. He is also a great blocker for his size, combining style and substance in his game. Rickey is an evidently athletic player with great physical skills who helps his team in a variety of ways. He is a solid spot-up 3PT shooter. He dives very fast in the middle of the paint in P’n’R situations and he can use a variety of fakes to create space in 1on1 situations. On the defensive end, he uses his long arms and anticipation to block opponent shots and secure rebounds.